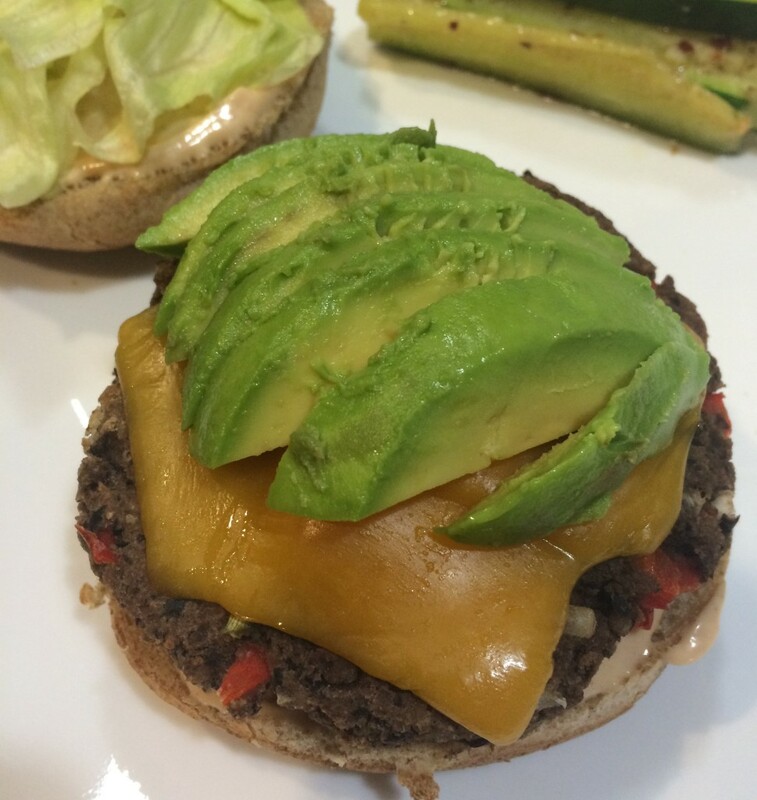 We try to have meatless meals several times a week, and these black bean burgers are a favorite. I found the recipe on Allrecipes.com and after giving them a try, I was sold. They’re flavorful and quick to make, and they freeze well*. You can serve them on a traditional hamburger bun, but I like them best on a toasted English muffin, topped with sliced avocado, lettuce, tomato, cheese, and chipotle mayo (see directions below). In a small bowl, stir together egg, chili powder, cumin, and chili sauce or hot sauce. Serve on rolls with lettuce, tomato, cheese, sliced avocado, and chipotle mayo (mix ¼ cup mayonnaise with 2 teaspoons chipotle hot sauce).